Here's some pictures of a painting that I'm doing. 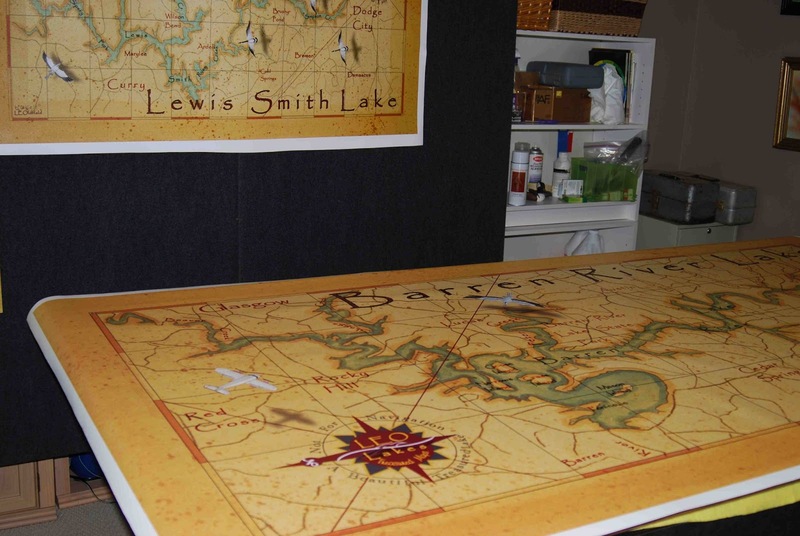 I'm putting the finishing touches on this decor map of Barren River Lake located in central Kentucky. 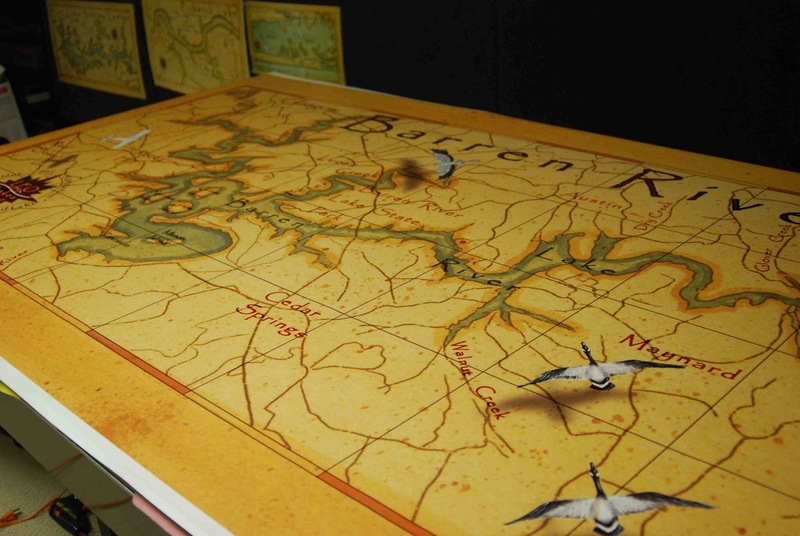 I repaint the waterfowl to make them pop and hopefully look like they are floating above the map. This map is huge, 4ft x 8ft canvas. Remember Life is short, get away from the big screen and get on a big stream, like Barren River Lake.